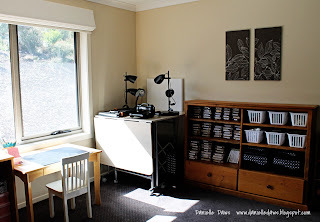 Connie is Stampin Up Demonstrator from Dublin, OH and has this classroom/stampin Up studio. I love places like this. You get the feeling that not only looks nice but that is very much used. Look at those beautiful cabinets! I love this die cutting corner. For many more photos and explanation, click here. Another request via facebook was on how to store Quilting Batting in rolls. Now, I am not a quilter, but I do have material and papers in rolls and I know how hard it is to store them, so I can imagine any quilters frustration with this massive rolls. 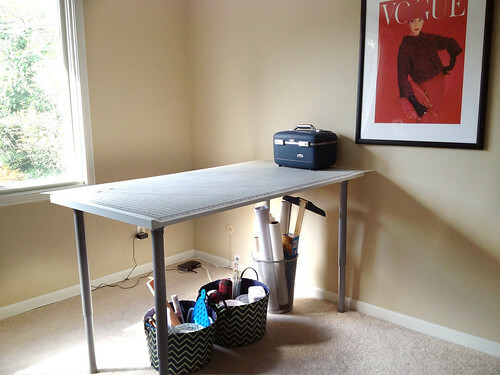 A simple paper bin under the work table from Buffalo Modern Sewing. But this one you can actually buy it here. And this is what Gramma Hups had to say! Since I am disabled, I have trouble lifting the large rolls of batting I use, so I invented a PVC pipe holder for them. Then I can just roll whatever batting I need onto my quilt machine. This is copyright material. 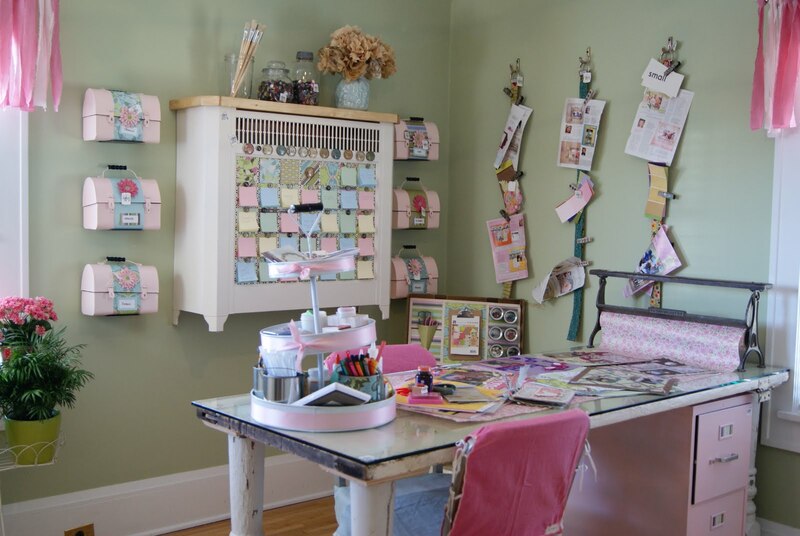 Looking for the Big Shot storage ideas, I came across this Craft Cabin. A nice contained unit to store the fab machine that is the Big Shot Pro. And ribbons and punches galore! Cass is on Pinterest, you can follow her here. 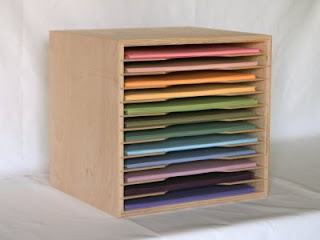 I asked a few days ago on Facebook - you can like Crafty Storage here - what was the most challenging craft items to store and one item that came poping in was the Big Shot. Well, here you have some ideas. Carol's stamping area and Big shot working space. I came across this post and I am in awe of the original ideas. You have to love this radiator made in to a floating magnetic wall calendar. 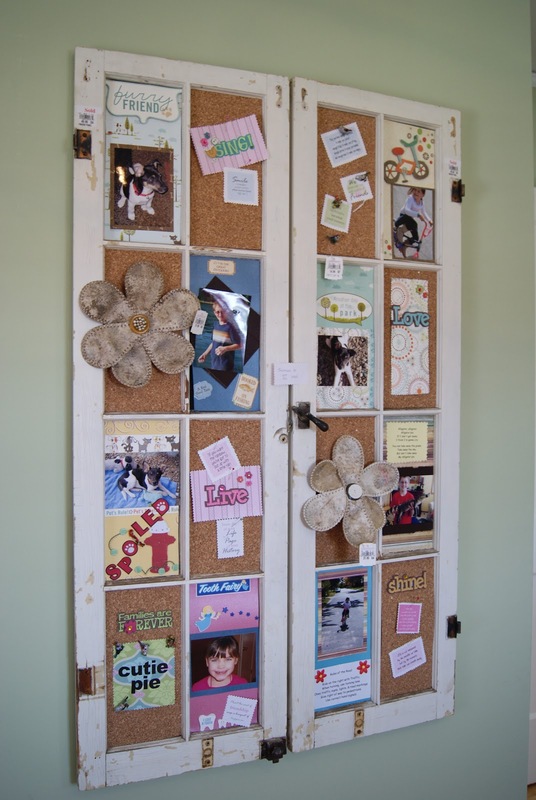 Or this window frame with cork and photos. 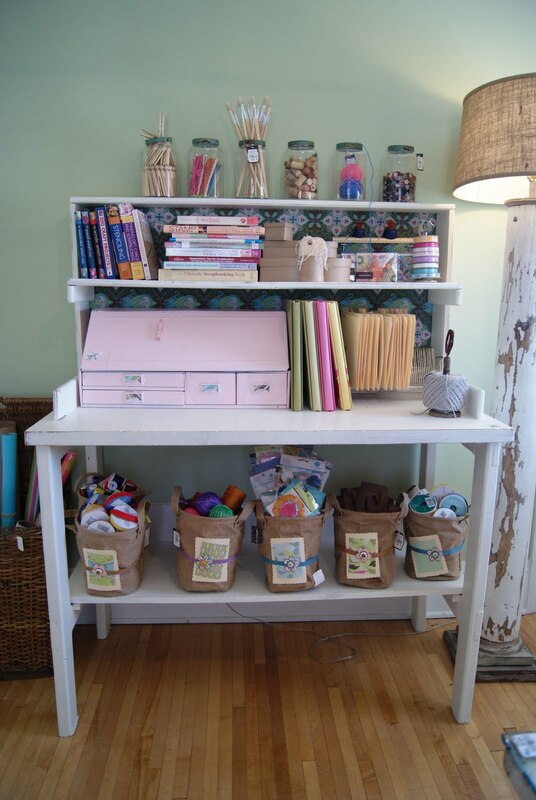 Or this potting bench which has storage and work space. i love it, for far more ideas from Rachel click here. Saphira sent me a link to her blog and I was amazed how many ideas she has. Really great crafty storage! But I was particularly interested with the die storage. I also use the Ikea boxes but I am not half as tidy! Click here for the blog post with loads more photos and ideas. 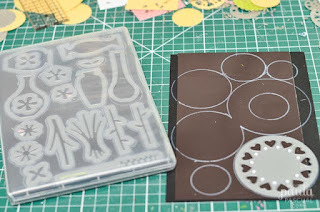 Today I share one of my storage methods for wafer thin dies. Some of you may know that I am full time freelance designer working most of my time for Sizzix EU, for whom I have designed a couple of collections of dies and embossing folders - click here to see them! So I do have a lot of dies t any one time which means that storage for any different type of dies is a priority for me. I already showed some ideas here and here. I am sure some of you have seen versions of this. At the minute this is the way it works for me. You can read more in detail here on my personal blog. I love this idea from Ronny. Ronny has used an extra wide magazine upright holder. 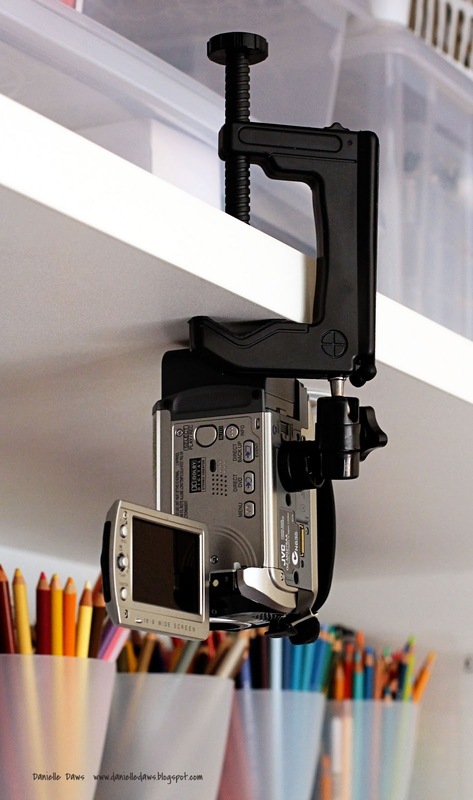 I havent been able to find it online, but I am guessing that Staples would have something like that. 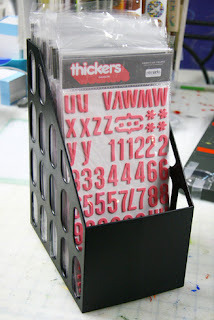 Remember that the Thickers with packaging are about 6 1/2" wide or 16 cm, so when looking for the holder just mesure the inside to be at least that wide. 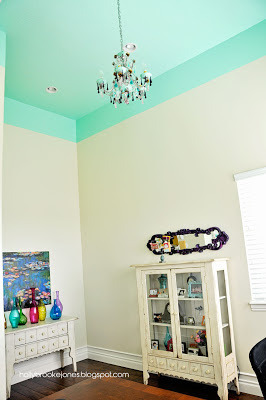 I love this, not sure it would be good for colour accuracy, but the energy from the colour is remarkable idea. It belongs to Holly Brooke Jones office. Click here for Holly Brooke Jones blog post about her Creative Space. As i struggle with taking photos in my room, I am always looking for ideas and solutions. I found these from Danielle, which I love. This one is for videos! Click here for a lot more fantastic ideas! Just the kind I love! 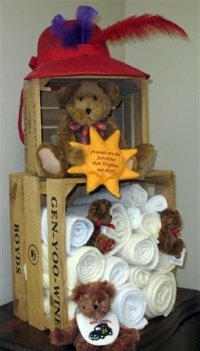 Click on the photo for more photos and here to go directly to the main page of One Lucky Day blog. 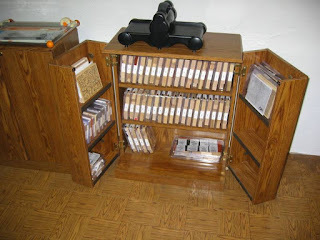 I was looking on your site getting inspiration for a way to store a medium amount of punches. I love the custom made ones but don't have that many to justify the cost. Then I found the Kvissle Letter Tray (Link to UK site) at Ikea for $50. 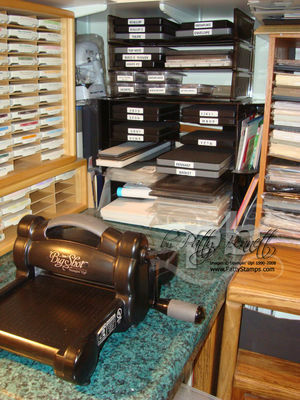 Each tray can store 6 large or 8 medium or lots more small punches. I mix up my sizes though so they are stored with 'like' designs. Then at the bottom I store the hand punches and other miscellaneous ones. 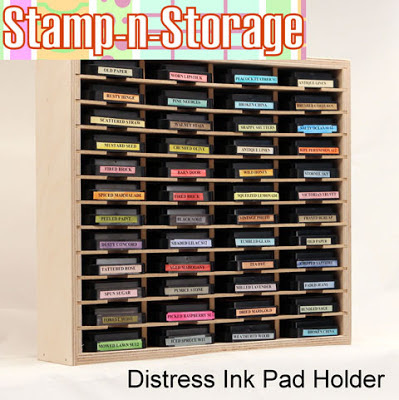 I think this could be used as well for stamps and many more crafty items. 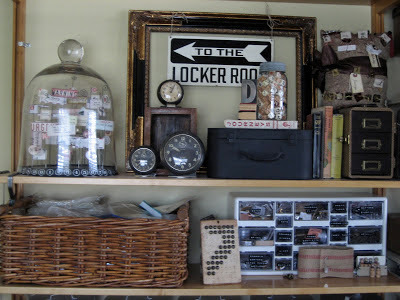 I love what Mary says, always improving the ways to store the craft stash. You can check Mary's blog here. 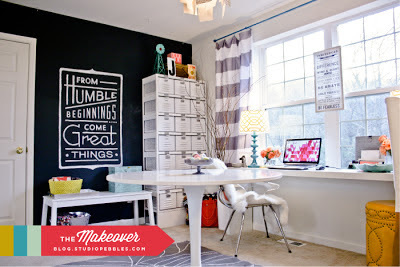 I can't recommend enough this post of an office makeover by Jennifer pebbles.